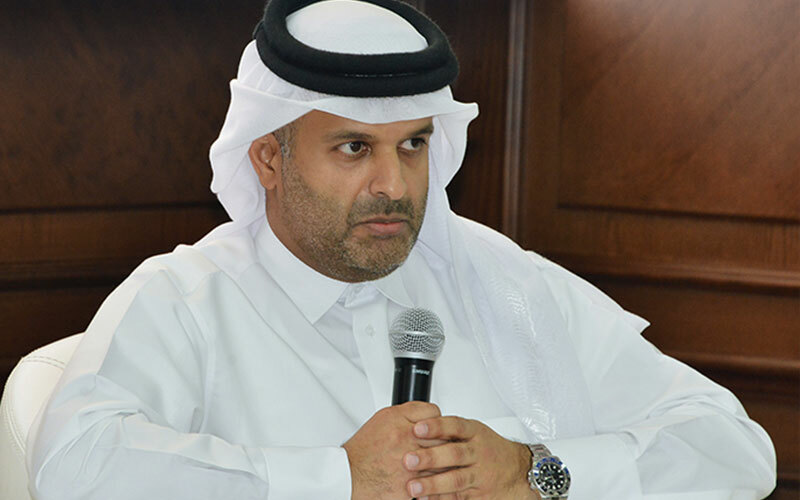 Qatar and the US enjoy distinguished and robust economic and trade relations, and both counties’ cooperation is not only related to trade and investments but also extends to all fields, Qatar Chamber’s First Vice Chairman Mohamed bin Ahmed bin Twar has said. He was addressing a meeting hosted by Qatar Chamber for a trade delegation headed by the Charge d’Affaires of US Embassy William Grant. Twar said the US is a very important trade partner of Qatar and their trade volume has doubled within the past few year, reaching $5.5 billion last year. The Qatari private sector has strong relations with its US counterpart and they have several joint investments, he said, adding that the Qatari private sector has important investments in the US in technology, hospitality sectors. He said 650 US companies are operating in Qatar, of which 117 are 100 percent owned by American businessmen and 55 are under the umbrella of the Qatar Financial Center and the rest are Qatari-US ventures. Twar also pointed to the Qatari economic roadshow held in April across a number of US cities, including Washington, Miami, Raleigh and Charleston with the aim of promoting and expanding trade and economic relations between Qatar and the United States . The tour, which was held in conjunction with the visit of the Amir HH Sheikh Tamim bin Hamad al Thani to the US, included economic forums, bilateral meetings between Qatari businessmen, their American counterparts, round tables as well as accompanying exhibitions. It ended with the signing of a slew of MoUs and trade agreements between companies of the two countries and establishing joint investment projects that benefit both countries, he pointed out. 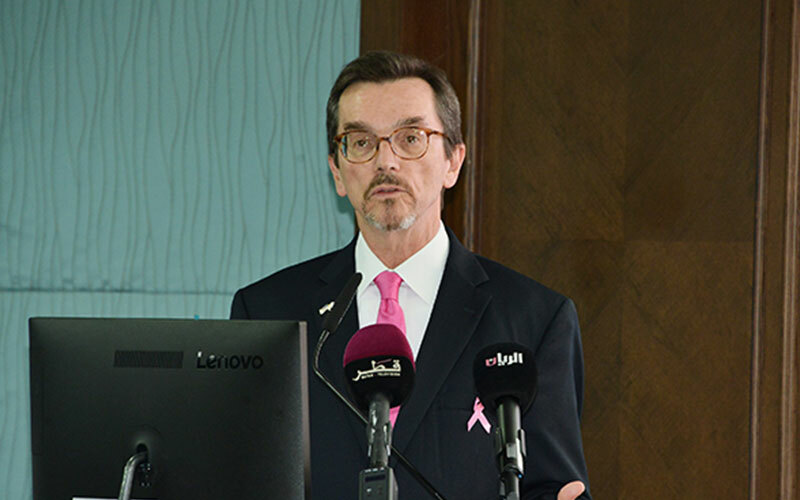 the Charge d’Affaires of US Embassy William Grant said the US economy is attractive and offers huge opportunities for investment and praised the efforts of both sides to overcome any obstacles faced by businessmen. Grant noted that there are direct flights from Qatar to 10 US cities and there are facilities of issuance of visas for Qataris. Both countries share the same visions in many international issues and there is clear understanding and cooperation in all fields, he pointed out. He affirmed that there are big opportunities for cooperation between both sides, noting that the US supports Qatar’s efforts aiming at developing industry. Head of investment promotion department ,Ministry of Economy and Commerce Noor Al Nuaimi delivered a presentation on investment climate in Qatar. She said that the Qatar National Vision 2030 aims to boost the national economy through four pillars including the human, social, economic and environment development. Qatar has a strategic geographical position and has huge oil and gas reserves, assuring that the government offers lots of investment incentives and facilities to boost economy. She explained procedures of setting up business in Qatar as well as an overview on the most important logistics prjects in Qatar such as Hamad Port, Hamad Airport, Rail and Qatar Airways. 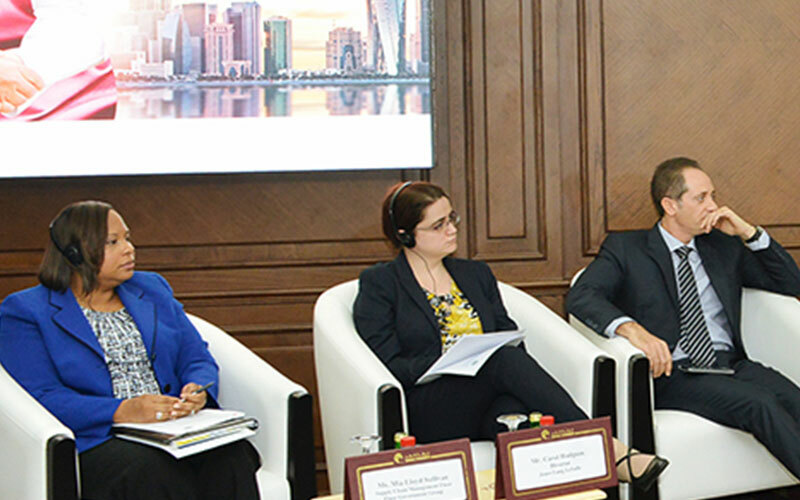 In turn, the senior commercial officer in the US Embassy in Qatar Ilona Shtrom presented a review on how to do business in the US and the investment incentives presented by the government. She noted that there is a large Qatari businessmen delegation visited the US last year led by Minister of Economy and Commerce, affirming that the visit ended with many MOUs and agreements between both countries’ companies. 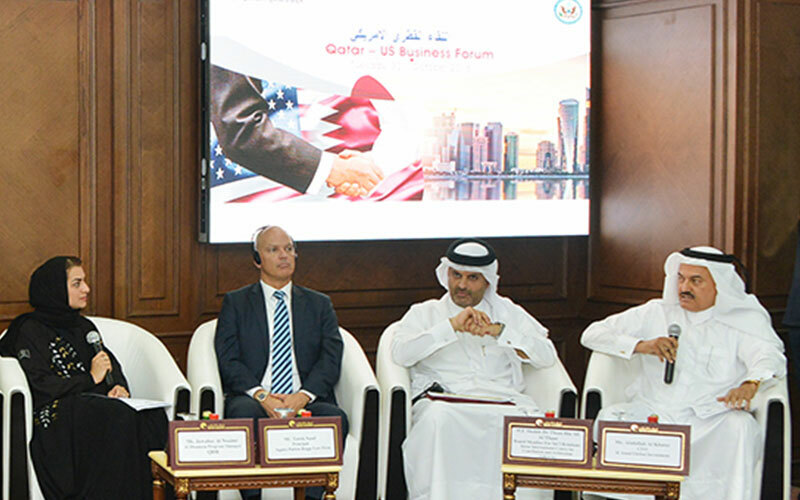 The second session titled “ Enhancing mutual investment between Qatar and the US” discussed many topics including Qatari business legislatives, SMEs, investment in industry, and opportunities for suppliers in Qatar. 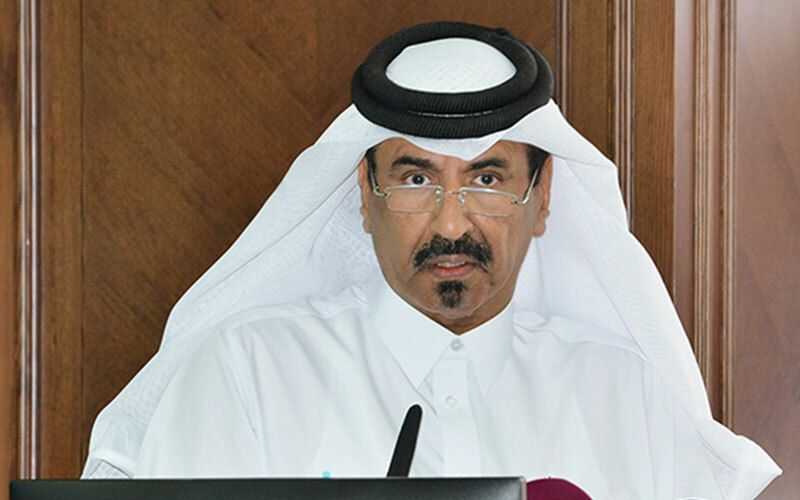 Addressing the second session, board member for international relations at Qatar International Center for Conciliation and Arbitration (QICCA) HE Sheikh Thani bin Ali Al Thani said that Qatar is keen on developing its laws and legislatives to comply with the investment climate. HE noted that the chamber established QICCA in 2006 in line with the general rules on UNICETRAL to help solve commercial disputes among its members. In 2018, QICCA solved cased of more than $2billions investments. Many presentations were delivered by many Qatari and US institutions including Squire Patton Boggs Law Firm in Qatar, Qatar Development Bank, MasterCard, Manateq, Jones Lang Lesalle and Supply Chain Management Fluor.